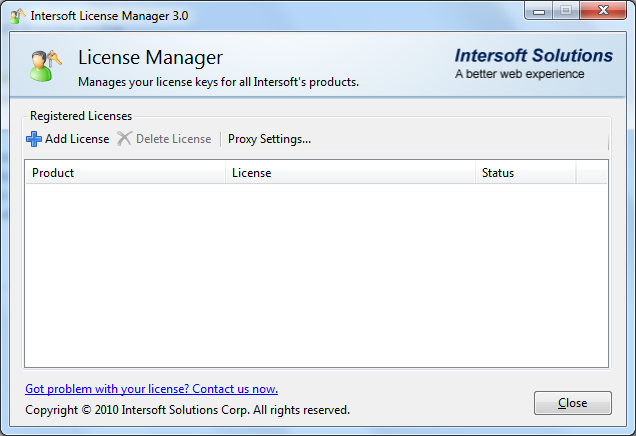 License Manager is a tool designed to manage your license keys for all Intersoft's products. This topic provides a step-by-step instruction on how to register/remove Intersoft product's licenses using License Manager. 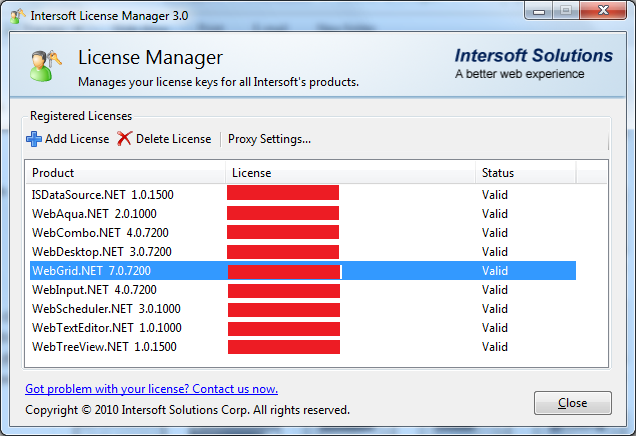 Launch License Manager from [Installation Folder]\Intersoft Solutions\WebUI Studio for ASP.NET\WebUI.NET Framework 3.0\LicenseManager\ISNet.WebUI.LicenseManager.exe. OR, you can access from Start Menu >> All Programs >> Intersoft WebUI Studio 2010 R1 >> License Manager. Click Add License to proceed to the next step. Now, Select a product from the combo box. 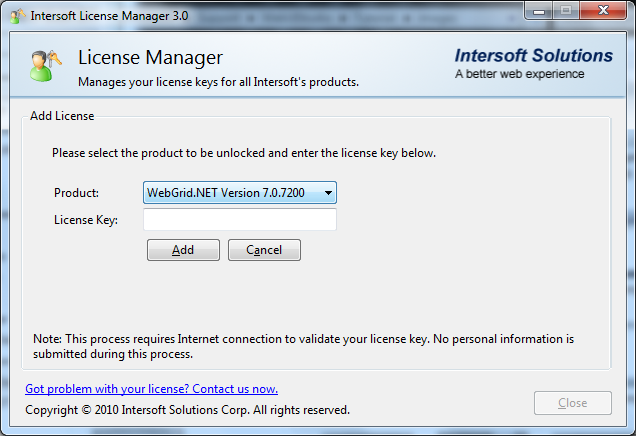 For instance, select WebGrid Version 7.0.7200 and enter the license according to the component. Select a product from the list box. Click Delete License. The tool will automatically remove the selected product's license from your computer.